If a favourite poet writes a novel, I’m probably going to read it, especially when the poet is Dionne Brand. I’m writing this review very soon after reading Brand’s non-fiction book, “A Map to the Door of No Return“, and I’m seeing her experiences and thoughts on immigration, identity, the diaspora, colonialism etc in that book, displayed in this book. Prior to this I’d only read a few volumes of her poems; in prose form, she is just remarkable and this is a beautiful, intricate book. It did take me a while to get used to the language but once I got into the flow of things it was wonderful. In this Brexit era when so many immigrants hear the phrase, “Go back home”, it’s a good time to understand why certain immigration patterns even happened. Often people rarely take into account history and how damaging and pervasive the ills of the Empire have been. There’s a realization by so many of us that there is no place where we can be truly free because of history and neocolonialism. This is definitely a book I think will appeal to many. It’s beautifully-written, very thoughtful, and gives a voice to Caribbean immigrant women in the big city in Canada. With my interest in discovering hidden stories, this book was right up my alley. I can hardly think of a worse fate than being an enslaved black woman in the New World in the 17th Century. I know about the Salem Witch Trials but I didn’t know that there was a black witch who had played a role. 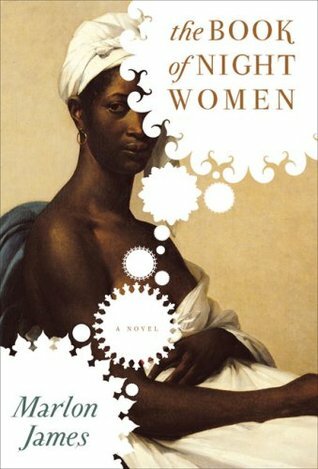 Tituba, who was born and raised in Barbados but moved to America, ends up playing such a pivotal role in the Salem witch trials, yet I’d never heard of her until I came across this book. I think it’s obvious that what was omitted in history clearly shows what (or who) has been valued in history. It also shows that in many cases black people weren’t even considered worthy of a footnote. But literature is powerful and gives life and a voice to people long dead and sometimes long forgotten. It is indeed a moment of triumph when Condé decided to give Tituba a voice. Even if someone didn’t get justice then, they can at least get some sense of justice through literature, especially when their story, which may have been ridiculed, is finally understood. When I first read this book in 2012, I didn’t think I would ever read it again. The depictions of violence were really hard to read, mainly because I knew that although they were fictional, they were probably very representative of what had taken place to people who looked like me. However, I decided to bite the bullet and read it again, mainly because Marlon James was going to be at one of the events I attended a fortnight ago, and also to see how differently I read it the second time around. I’m so glad I did reread it. There was a lot to take in during the first read and in retrospect I don’t think I could have seen enough the first time around. Also, with additional knowledge of slavery, and also with being familiar with the story from my first read, I was able to understand the story at a much deeper level. I was even able to look more closely at the other stories I had “missed.” For example, the “romance” of sorts between the main character, slave Lilith, and the Irish overseer, Quinn, a romance that came about due to two lonely people, lonely for different reasons. When we may often see homogeneity in whiteness, it was clear from this book that that was not the case in the colonies, and there was a rigid hierarchy of race, even within whiteness. A book that was recommended by my favourite professor is “How The Irish Became White”, and in this book it was interesting to see how the Irish man was treated by the English, French etc. During my second reading, I was also struck by the cognitive dissonance of the slave-owners; the fact that the black were the ones who were considered uncivilized and subhuman, yet it was the so-called “civilized” Europeans who came up with so many inhumane ways to shame, humiliate, hurt and destroy these people, was something that made me wonder how could they could see their cruel actions as acceptable. I would not want to live in their heads. In spite of the harsh and graphic content in this book, I would highly recommend it. There were moments of triumph, in spite of the situation the characters find themselves in, and Marlon James is a great storyteller. In many ways I feel as though the protagonist of Kincaid’s “Annie John” found her way into this book, except instead of leaving Antigua for England, she goes to America to work as an au pair for a rich American family. This results in an interesting coming-of-age story, with themes of race and migration added to it, as well as colonialism, the remnants of which continue to reverberate. This book definitely resonated with me and I could relate to Lucy’s experiences in some sense. Having myself left a former British colony for Canada at the same age as Lucy, I also remember having similar observations about my second stint in the West, especially as an adult. 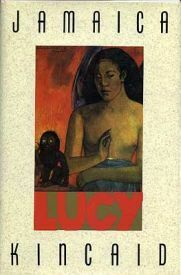 Although my observations were not quite as strong as Lucy’s due to travel and other factors, I could understand her feelings of wanting to leave her home, to start a new life away from meddling eyes, but missing her home when she did eventually leave, because those were my exact sentiments too. Growing into womanhood away from a familiar and protective environment, yes, I can relate. The idea of symbols and images meaning different things to different people was an especially interesting point. In particular, the daffodil, to the American woman, meant the beauty of Spring and the promises of new beginnings, while for Lucy who’d had to learn Wordsworth’s poem, it meant remembering colonialism and the absurdity of having to memorize poems about flowers that didn’t even grow in her part of the world. But what an unlikable character the protagonist was. I found her thoughts and revelations quite interesting but she was so bitter! I wonder what the reasons were, as she seemed too old to be experiencing teen angst. Still, I really enjoyed this book, primarily because of Kincaid’s absolutely beautiful writing style. 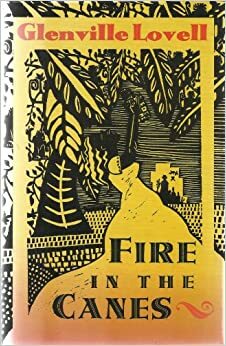 This was an interesting story and a reminder to me to read more Caribbean literature. Set in a Caribbean island village called Monkey Road, it looks at a black community post-slavery, still reliant on the plantation for work. The book is ostensibly a love story that weaves in Caribbean myths and magical realism to the stories of the island community’s African forebears. I liked the discussion on how Africa was seen by the descendants of the slaves; the image of Africa held a mythical impression, and the black inhabitants of the island felt the bones of the slaves who were brought over from Africa were still not at peace because they were on foreign soil. There was a lot of discussion of the supernatural, and an unusual love story that continues to have repercussions years later. Memory was definitely an important theme. I was curious about how people “did” relationships, and one of the numerous terrible effects on slavery, which a lot has been written about and discussed, is how the black family as a unit during those times was pretty much non-existent; black families could not really remain in their family groups because they were often sold. In a sense this book shows that the repercussions of these acts carried on in this society at least. While this was true, as a woman it was quite disappointing to see how relationships played out in a post-slavery society. “But slave habits die hard” is how the author put it. I liked this book and I think it was a good reminder to those of us who forget that slavery also occurred in places outside of the U.S., and that the results were disastrous wherever it took place.